Join our FREE Photography Business Community on Facebook. JOIN NOW! Successful photography careers aren’t easy to come by. But then again, if things were easy, everybody would do them right? I think one of the biggest reason that you don’t see more people with careers in photography is simply because it might be one of the best jobs in the world. But like anything truly amazing in this world, it’s also extremely difficult. 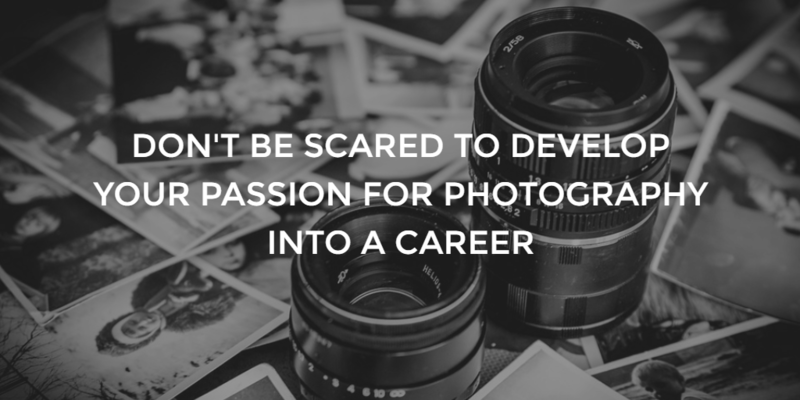 What follows is meant to help you decide if a photography career is right for you and, if it is, how to land your dream job. This article was last updated April 14, 2019. First, it’s always at the cusp of the times. When newspapers exploded, so did a need for photography. The same was true for the explosion of the internet and, it’s current state which we like to call social media. With technology expanding more rapidly than ever before, the need for great photographers continues to increase. For better or worse, photography is also accessible to most people. With DSLRs now becoming cheaper than ever before, the market is saturated with both new photographers and opportunities to make photography work as a career. Most photographers have cut their teeth out of sheer boredom, having picked up a camera to pass time. The ability to take photos whenever and wherever can’t be ignored, either. As an expressive outlet, we can tell stories and create art out of our surroundings and, with gratitude, I say that photography is always there for you when you need it. All of my friends who are photographers absolutely love what they do, but what I love the most is that a photographer is complete in control of his/her own destiny. There are so few gatekeepers left to tell us what we can and can’t do, who we can and can’t work for, that our careers are totally in our own hands. Careers in photography don’t require us to create a resume and go to a panel interview and I sincerely hope that never changes. An entrepreneur is somebody who leverages their knowledge of an industry to start and grow a business in it. As entrepreneurs, we get to be our own boss and have financial independence. Not everybody that I know is wired for this type of work but 100% of entrepreneurs and and so are 100% of the successful full-time photographers that I know. We simply feel like we’re drowning working for somebody else. If you have less chops in the business side of things (that’s why you’re here at Photo MBA, right? ), then another option is to work for an agency. With high quality creative always in demand, it’s entirely possible to work for a creative agency in advertising and a myriad of other markets. Salaried jobs have their benefits, but if you’re like me, seeing the progress in your career and knowing that it’s all on you is something you strive for daily. Pursuing clients and working as a freelance photographer means that you get to develop a brand, your marketing, choose who you work for and in what capacity, as well as working when and where you want. In 2016, there’s no reason that you can’t leverage the amazing power of social media (the internet) to build a strong personal and/or professional brand and trade that up to high-quality clients. Everybody likes to be romantic about how they hate their 9-5 job and how they’d be so successful if they didn’t have that constraint. And it might not be a popular opinion, but I think that while we’re all photographers, photography careers aren’t for everybody. The truth is that the vast majority of people would prefer the perceived safety and security of a regular ‘job’ versus the ups and downs of entrepreneurship. As a photographer, you don’t have to show up to an office and edit photos from 9-5. You can edit photos from 9pm to 5am if that’s how you work best. You can choose to take more traditional jobs or you can work weddings where you’re there for 10-12 hours and then off all week. Your schedule could change every single week and every week, and even every single day, can be different from the last. And while photography careers are often characterized by unusual schedules and manic work hours, but there’s also this sense of beautiful balance that accompanies it. The balance comes in the sense that you get to have a taste of everything. There are opportunities that will allow you to travel, work from home, work with teams, spend time with your family, explore new places, and meet new people. It doesn’t matter if I’m a man or woman, young or old, as long as I can deliver an amazing client-experience and tell vivid stories with my work. You can work with people from all walks of life and, because of your photography career, get access to things you might otherwise never get to experience. Multi-potentialite or multi-hyphenate are terms being thrown around a lot to describe people in 2016 who are multiple titles and pursuits. Thirty years ago, you might describe yourself as a photographer but today, you’d call yourself a photographer-writer-artist, adding in whatever else you’re interested in or working on. You used to be some sort of unicorn if you could jump from one industry to the next, as a musician would make the leap to acting. However, in 2016 almost everybody has more than one pursuit. Chase Jarvis, one of my favorite photographers, is not only a photographer, but a writer, tech entrepreneur, media producer, and CEO. Additionally, you can move within the career of photography to shoot a multitude of different subjects, later on adding in leading workshops, mentoring, videography, etc. You can literally do whatever you want to now. With the gatekeepers gone, you can pursue tangential passions to photography as you see fit. It’s common for two photographers to get together or a photographer to meet somebody working on a unique project and join them in it. Having a photography career means, essentially, that you’re getting paid to relieve stress. Granted, the business side of photography, what we focus on here at Photo MBA, can be incredibly stressful, but being paid for something you’re passionate about is one of the greatest things on earth. Going out into the world and taking photos is one of the best kinds of therapy and careers in photography provide that on a daily basis. On a shoot, you are both creative director and artist, deciding what will be shot and how. You’re both architect and mason. You can follow your creative vision and create the art that you want to, especially once you start attracting clients (note I said attracting, not pursuing) that appreciate the value of your style of photography. Are You Ready for a Career in Photography? You’re a super-passionate young photographer trying to see if your passion for photography is worth pursuing as a career. You’ve been doing photography on the side for a while, in addition to your full-time job, and want to see if it makes sense to pursue it full time. This could mean working for yourself or working for someone else (and all of the perks and trials that go along with each). Here are the three most common questions people ask when they’re looking into photography careers. What does a career in photography mean? Careers in photography mean more than just taking pictures and telling stories. In fact, the pictures you take are just the tip of the iceberg. If you want to own your own business as a photographer, you have to focus just as much on business as you do on your craft. It’s my personal belief that if you’re reading this, you’re a photographer, even if you don’t have any paying clients. A career in photography means that every negative is also a positive. Your schedule is erratic and different every day -> You control your own schedule. You never know where your next paycheck comes from -> You’re rewarded for working harder and smarter. A career in photography means you’re an entrepreneur. You use your business skills as well as your camera skills to create a thriving business and making a living doing work you’re proud of. How much will I make in my photography career? This is covered pretty extensively in our 2016 guide to Photographer Salary, but photographers make what they’re worth. The market is the market and the market decides what you’re services are worth. This is both the best and worst part of being a photographer. You find out really fast if what you’re doing is working with the clients you want to serve because they will, or they won’t, hire you. I couldn’t disagree with the Bureau of Labor Statistics any more. They claim that the average photographer makes $31k per year and while that might be true, averages can be VERY deceiving. I would much prefer to see the median (middle number) or the mode) most common number) from their data. If you average my yearly income with Kobe Bryant, the average is reflective on neither. Do I need to go to college to get a career in photography? One of my favorite articles over at Fstoppers is Clay Cook’s treatise on not going to college. No, you don’t need to go to college to have a photography careers. But Brendan, my dad would straight up murder me if I don’t go to / finish college. I understand there’s a lot of societal pressure to go to college. There really is. Here’s a creative third option (are are creative after all, right? ): go to college and start your business then. Don’t drink and party, but instead start running your business out of your apartment or dorm room. Parents and society are happy and so are you. If your push hard and your business is running in full swing before graduation, you can always finish later. What Different Careers in Photography Are There? 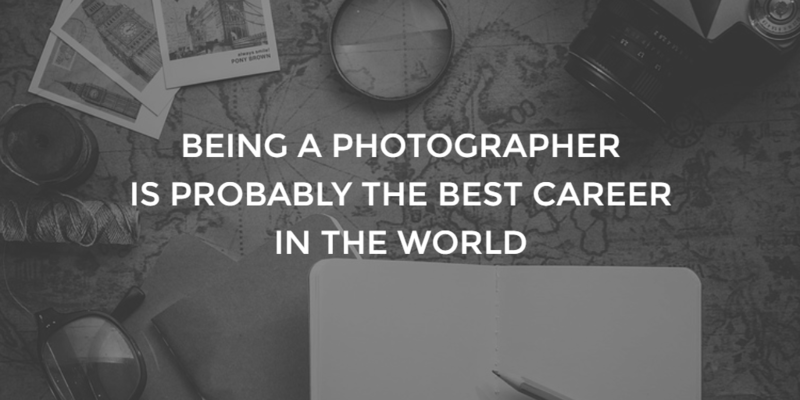 In fact, there are 50+ different genres of photography that you can make a career out of. Ready to take your photography career to the next level? Click here to get our free guide and in just 7 days, you’ll change the way you think about your photography business. Get our free guide to turning your website into a client-generating machine! and join a community of 1700+ business-minded photographers to get more clients.